Comments Off on Has it really been a year? In the last week I have built and landed it in Fedora rawhide, including rebuilding all the plugins against the new libraries. The only application left I know of that has issues is xfburn. I’ll be working on that in the next few days, in the mean time you will probibly want to remove it so you can update the rest of the stack. I’m running it here and it seems to be pretty stable so far. Of course it’s only a pre1, so there could well be problems. Save your work often. 🙂 Please report bugs on these packages to the fedora-xfce list or directly to me, to avoid confusion with the normal 4.8 packages in Fedora 17. Farewell Bitters. 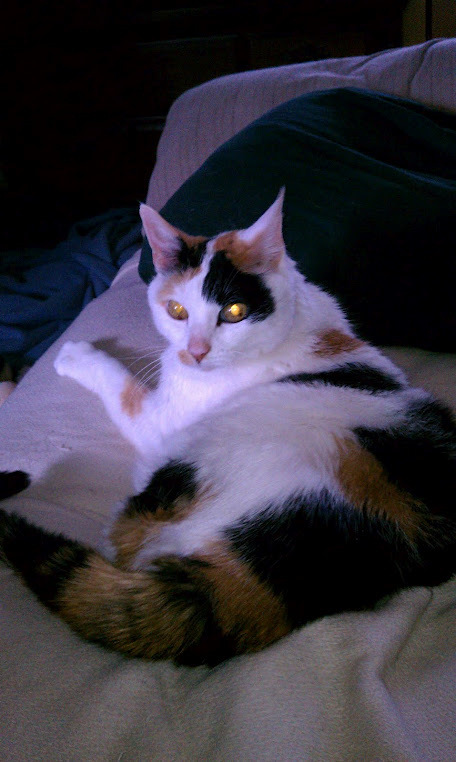 I’ll miss your mrows from the kitchen, your so very loud purring (missing these last few weeks), and your curled up calico self.